My guest today is Martin Burlingame of the Strategic Insurance Agency. 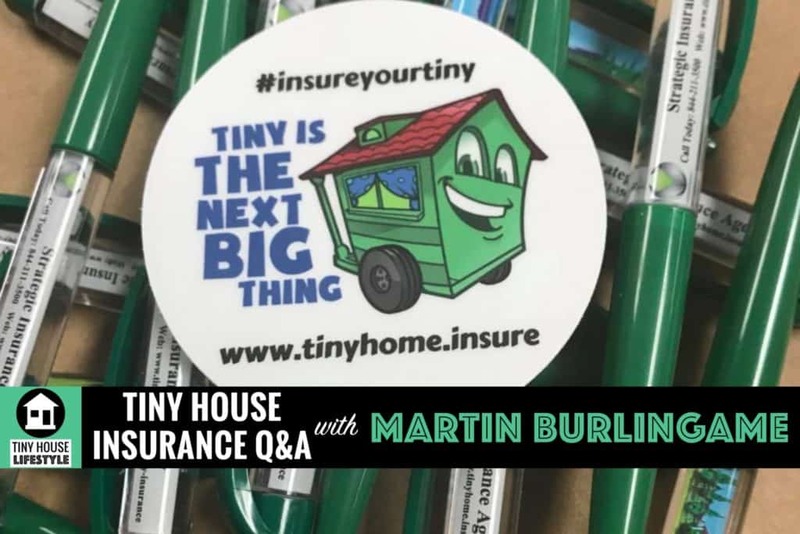 While meeting with tiny house enthusiasts at the 2015 National Tiny House Jamboree, Martin came to realize the crisis that tiny homeowners were having finding insurance. After the 2015 Jamboree Martin continuously heard from builders, marketing companies, bloggers, and tiny homeowners that insurance was a huge concern in order for the movement to continue to progress. He then worked with multiple insurance companies to develop custom programs for the tiny house industry industry. What kinds of tiny homes can be covered by insurance? The one thing that you CANNOT build yourself if you still want to be able to insure your tiny home? What are trip endorsements and why do they matter on your insurance policy? At what point during your build should you get insurance for your tiny house? What certifications are required to get tiny house insurance? Can you rent out your tiny house and keep your insurance? Why isn’t it possible to get flood insurance for your tiny house? Are personal property riders available? A run down of your insurance ABCs. Are there any homeowner warranties available for tiny homes? What percentage of tiny homes are moving all the time vs. predominantly staying in one place? Why is it harder to find insurance programs for Skoolies? Is the tiny house market growing? How could the Appendix Q efforts affect the ability to get insurance for your tiny home?